I had been hearing so much about the Dirty Looks Hair Extensions and I was just about to place an order when I was contacted by them asking if I would like to review some! My hair is about shoulder length and I recently got it cut and I absolutely hate it, I really don't like the length or the layers so I was dying to get some hair extensions to hide it a little and get some length back! I decided on the full head and the length I chose was 16-18" as I didn't want them to be too long as this could look un-natural as my hair is quite short. I emailed the team at Dirty Looks to work out which shade I would be, my hair is completely natural and it's very hard to decide on shades as I have a kind of "ombre" look, the roots are growing through my natural colour and the bottom is light blonde from the sun, when I went on holiday in August! I sent them a photo and they quickly replied asking for a few more, I was really impressed with how much effort they put into choosing a shade, I could tell they wanted to get it completely right for me! In the end, I went with Manhattan Highlighted Blonde and it is a great match for my hair! The packaging I received it in was great, a really pretty purple box. 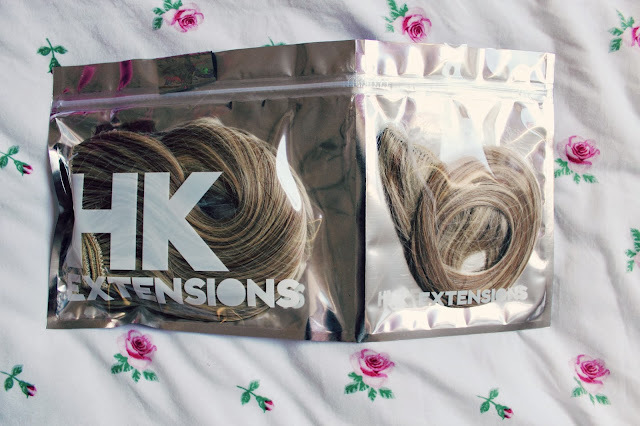 When I've bought hair extensions before they have come in a long plastic bag, usually folded in half so that your hair extensions end up with a kink in the middle so it was so lovely to have them really well packaged! 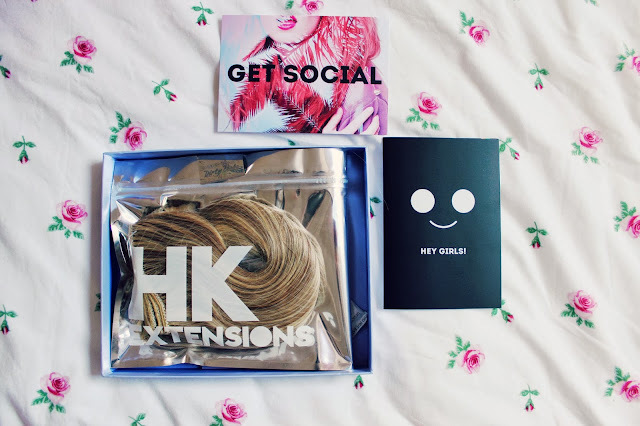 In the box you get a booklet with instructions on how to apply them and details on returning/exchanging. 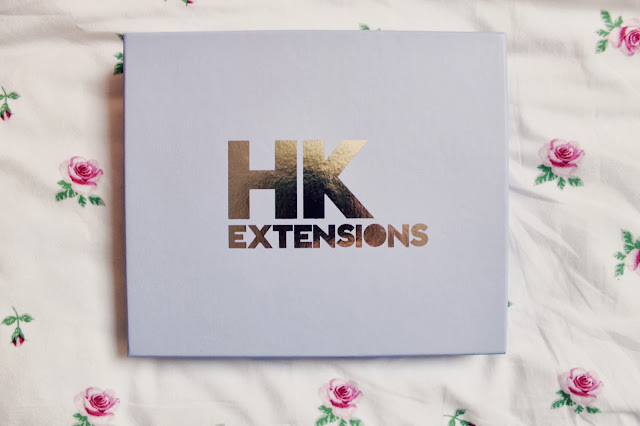 The great thing about the extensions is that you get one weft in a section on the left which you can open as soon as you get the extensions, this allows you to test that the shade is right, do not open the bigger section until you are 100% sure the match is right as you won't be able to return them! I think this is such a good idea and is so helpful as so many other brands just package all the hair together and once you open it, it's too late to exchange for a different colour if it's wrong! The hair extensions themselves feel amazing quality and they are so thick! One problem I had when buying Foxy Locks Extensions was that they were really thin and looked so unnatural as the top of my head was full of thick hair and the bottom was really thin so I couldn't wear my hair down without looking like a wally! 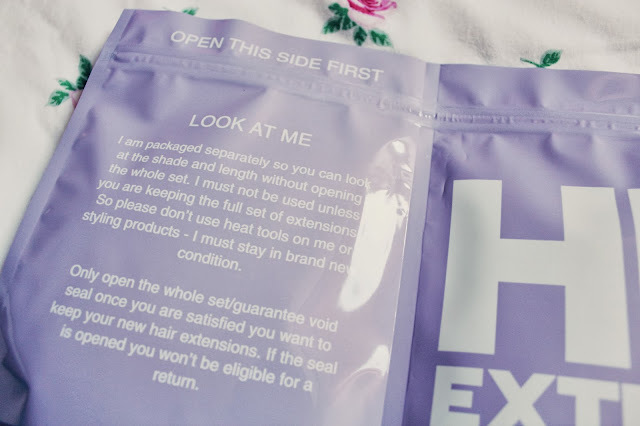 That isn't the case at all with these extensions, they are plenty thick enough and blend really well with my natural hair, the longer the extensions you choose, the thicker the hair too! As the hair is real, you can treat it just as you would with your own hair, you can wash and use heat on it. Personally, I've been curling it slightly, it is a bit harder to curl than your normal hair but it is still really easy to do. All the clips feel really secure and don't move throughout the day so I don't have to worry about them moving or becoming visible. Overall, I would really recommend these extensions, the customer service is brilliant and the effort they go to in terms of packaging the extensions is great. 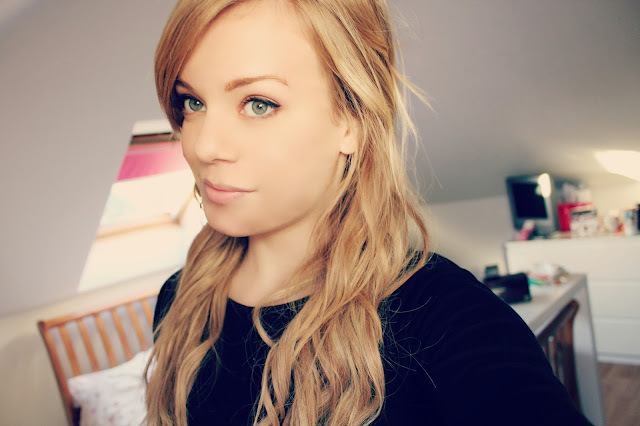 I love the extensions, when they are in, you can barely tell that it's not my own hair! Wow those extensions look and sound incredible, they match your hair so well. These look amazing and so natural. Aw you look so pretty, I need your face. I used to wear synthetic lace front wigs years ago before I started wearing Human hair extensions and I am not fond of them at all. These look amazing and so natural. It is very simple way to give new look to your hairs.